On this weeks podcast we talk with Aanand Naik about his recent JAGS article titled "Development of a Clinically Feasible Process for Identifying Individual Health Priorities". 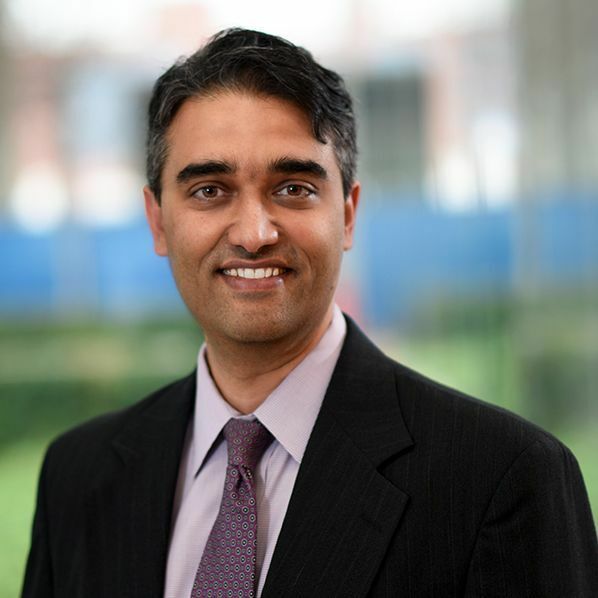 Aanand's many titles include Investigator, Houston Center for Innovations in Quality, Effectiveness, and Safety (IQuESt), Michael E. DeBakey VA Medical Center in Houston Texas and Acting Chief, Geriatrics Section and Associate Professor of Medicine, Baylor College of Medicine, Houston, Texas. Aanand's research is focused on developing and testing decision-making interventions to improve the outcomes of older adults with multiple morbid conditions, or to put it more simply, how do we identify what patients care about the most (i.e their values), and what their healthcare should be about (their health outcome goals). So take a listen and read his recent JAGS article to learn more about how to move from values to goals and preferences! Eric: Welcome to the GeriPal podcast! Are you supposed to say something now Alex or was it me? Alex: It's you. You forgot our intro! Eric: I forgot our intro. No! Eric: This is Eric Widera. Alex: Today we have Aanand Naik, who is acting chief. Alex: He's right there, right there look. Hello on video! Eric: If you pull him up on our YouTube video, you could actually see him. Alex: He's acting chief at HSRND at the VA Medical Center in Houston and the Baylor College of Medicine. Welcome to the GeriPal podcast. Eric: We usually start, I'm going to try to remember the format. We usually start off with a song request. Do you have a song for Alex before we start getting into ... this is actually a combined GeriPal JAGS podcast. We'll be talking about one of your papers, but before we do that, got a song? Aanand: Well I told Alex, since I'm a Texan coming to San Francisco, I should request the Gun Song by Lumineers. Alex: Now is that because, as a Texan, you own a gun? Aanand: I actually don't own a gun. Alex: You don't own a single gun? Aanand: I don't own a single gun. Alex: Not a single gun? Aanand: But I have many friends and family with too many guns. Alex: With too many guns. Eric: Do you travel with some Texas dirt wherever you go, just in case you always? Aanand: No. Sometimes I bring my boots. I didn't this time though. Eric: Okay Alex, give us a little bit. Alex: Thanks, yeah a little bit. Got the la-la in the wrong octave, but that's alright. It's close enough. That's the last concert you saw? Aanand: That was the last concert. Alex: Good concert, oh really? Alex: You must like them. Aanand: I do like them. Alex: I really enjoyed the song. It's like I should check out more of the Lumineers, I haven't really other than what's played on the radio, I haven't really listened to them. Eric: Yeah, I feel like every other song is Bob Dylan that we play here. Alex: That's true. We do a lot of Bob Dylan. Eric: A lot of Bob Dylan. Alex: We do a lot of Iron and Wine. We've done a lot of Beatles. Aanand: A lot of Beatles? Alex: Mm-hmm (affirmative). Interesting, no Grateful Dead. Alex: We've done a fair amount of Tom Petty. Yeah, just kind of a grouping amongst GeriPal folks. Eric: What are we here to talk about again? Alex: Oh yeah, what are we talking about? Something about patient priorities? Eric: I mean part of this was also instigated, you had a JAGS article that came out, just a couple months ago, on the development of clinically feasible process for identifying individual health priorities. Maybe before we actually go into this topic, maybe we can just do a big rewind to talk about how you got interested in this topic of, I guess, identifying healthcare priorities? Aanand: Yeah, so I guess going really far back, you know, like all of us in residency program, you know the people get the most attention are sometimes the ones who kind of find fascinomas and rare diseases and treatments for that and I was just always more fascinated with these patients who have like hypertension, diabetes, CHF, COPD, all at once, right? So, and that they would just keep coming back to the hospital and we'd have a hard time taking care of them and we've gotta do better, and if you actually sit down and talk to them, you realize they can't manage all the things that we're asking them to do. It's both physically, cognitively, functionally impossible and we're not addressing the things that they care about. So I think as from just being a fellow resident, just got interested in kind of the care of these complex multi-morbid older adults. So obviously that's why I became a geriatrician. Then thinking about the approach that we take to take care of these patients, and we focus on again these diseases, and multiple guidelines, and that wasn't the right way to approach it. So, I think just from the very beginning, it's sort of a search for how do we identify what patients care about the most, and what their healthcare should be about. Not to ignore science and diseases and evidence, but to use it towards the improvement of what patients say they wanna get to, not what the guidelines say alone. Alex: So, this is like a core GeriPal type of topic here. We're talking about older adults, with multiple chronic conditions, maybe with some cognitive impairment and functional impairment, and we're talking about sort of trying to figure out what their health priorities are? Alex: Is that the idea? Alex: So here's a question, isn't that what's happening in palliative care with people who are sort of seriously ill, nearing the end of life, haven't we already developed these techniques for eliciting goals of care? Aanand: Yeah, so that's a point in a conversation I get into a lot. So, I'll channel my best Mary Tinetti here and say, there isn't a conflict here between palliative care approach and this, but I think we're talking actually about different patient populations a little bit. Actually the best example of this is actually in Gawande's most recent book and when he talks about his father's illness course and he says as his father was having, closer to the end of life, his scope would narrow and they'd get focused on end of life goals and the perspectives was very narrow, and I think that the end of life trajectory made it easier to talk about goals of care, because it was very specific and sharp and acute and pointed. But the patients we're talking about actually have a wider scope of goals and a wider scope of things that they want to accomplish, and it's a much bigger avenue and they're not really thinking about their death. They often don't want to think about their death. We have a hard time actually telling them when their death might be. So really this is about focusing on a set of outcome states or activities or things that they want to do that are much broader and wider than I think what we see in traditional palliative care. It's harder to actually engage in this conversation with this population, because you don't have that end of life or that sort of serious illness scope that narrows the perspective. Alex: Yeah, it's a focusing, knowing that death is imminent or that sort of awareness. Aanand: Or even the single serious, even if death isn't imminent, the single serious illness that focuses your attention on what's most important. I think you have those forces in palliative care that you don't have in a little bit less, and they're not really younger, but a little bit less severely ill population. Alex: There are those who would, and I think ourselves included, who would say that there's tremendous overlap between geriatrics and palliative care, and these patients would probably also be considered geriatric patients, they'd be considered palliative care patients as well. I wonder, how do you respond to the critique that, "Well can't we just take the tools that we use near to the end of life and then move them upstream? Or do we need to start from scratch and develop new tools? Aanand: No I think that there is a lot of similarity and overlap. I don't deny that at all. I think that there's probably, in the conversations that we've had with palliative care experts, I think there is similarity in some of the tools. Alex: Oh yeah, you mean like scratch the glass and then you get the nucleation process? Alex: You develop the crystal around that. Eric: Yeah, it's often a challenge and that's something that I have a, I work with a fellow on a panel of nursing home patients and I think the hard part is that those goals of care talks are often fall lower in the priority because there's nothing that kind of stimulates those discussions. Eric: Quite like a hospitalization or new diagnosis of something, something really bad potentially. Aanand: So the trigger often in this case is actually the burden that falls on these patients. So just the number of visits they have to go to, the number of medications they have, all the activities you expect them to do. That's often a first entry into this. So how are you struggling with your care and what do you find burdensome? That's sometimes the way that we approach it. The other way that I've approached it, and maybe this isn't so different from a palliative care either, is actually starting by exploring value. So, again early in my journey, we sort of started asking about goals. I think patients just had a real struggle with what is that? Alex: Right, so too abstract, right? Aanand: Too abstract, too nebulous. My doctor's never talked to me about goals before, why are we talking about this? This has nothing to do with my medical care. So I actually found it really hard in early work to kind of get goals conversations going. So sometimes they'd be a little bit easier in single disease conversations. So some of the early work was in diabetes or hypertension, just specifically. Not in multi-morbidity, because it was a little easier to have goals conversations in that context. But more recently, with actually some clinical psychology colleagues, Lilian Dindo, Jennifer Moye, Michele Karel, to appropriately give credit to people, have helped me think about this process of thinking about values and that values are actually something that everyone has an easier time kind of coming to grasp with. What is most important to you? If you weren't feeling pain, or you weren't short of breath, what would you be doing more of? Those are the kind of valued activities. Through some qualitative work we've done with other papers published in JAGS, we really identified that older multi-morbid patients have a set of values, a kind of values families that are relevant to healthcare. So, social/spiritual connection, independence function, valued life activities or abilities, balancing mortality and morbidity, so balancing the kind of I wanna live longer versus I wanna manage my quality of life or symptoms. Then to the degree I wanna be engaged in care or more passive. So those are sort of five values categories and we found that they're actually all important to people, it just sort of depends on the day or the circumstances about which kind of is most salient, but these are all sort of important things and that's how you can construct goals from individualized, specific, goals from these values categories. Aanand: Yeah, mostly like vocation or yeah, yeah. Alex: Mm-hmm (affirmative). Hobbies, and that we need to widen our lens to include more of these, is sort of bigger picture of a family of important values. That's really sort of brings, again I see a lot of parallels with Karen Steinhauser's landmark paper on factors considered important to patients near the end of life. Many of them are similar to factors that are identified on that list. You know, getting right with God, spiritual wellbeing, things like that. So, interesting. So where do you go from ... so where do you go? You've identified these families, what's sort of the next step in the arc of this research pathway? Aanand: So how do you bring it into a clinical context? That's that challenging part, and doing it within the scope of visits and payable, billable things, right? So, what we've done is, right now we're at a point where we've been able to train health professionals in a range of different types of people. I'm sort of agnostic of who could do this, and it doesn't even have to be a health professional, but probably someone needs a little bit of training to sort of facilitate this conversation and what the priorities are. So you start with conversations about values that are kind of global, and you start to narrow it down more and get it more specific, and the value then gets transformed into a goal. It could be a value, so lets say I really value spending time with my grandkids, I really value independence to be able to get around to shopping or to go visit my grandkids. I really value or enjoy playing with my grandkids. So that gets transformed into a specific goal of, so twice a week I'm going to go for two hours. I'm gonna drive to my grandkids house, walk up three flights of stairs, and be able to play with them for two hours. That's a very specific, reasonable, measurable goal. Aanand: Actionable, realistic and time valued. Eric: Actionable. God I always screw up the pneumonic. Aanand: Now the reality is it's actually hard to get to SMART goals in clinical visits. So they don't have to be SMART right away, and iteratively they can get SMARTer, but just start. Get to something that's specific to that person and actionable to that person, and start to work from there. Then the other big part of this is actually care preferences, so what you're willing and not willing to do. That's where the burden comes in. So its really important for the, so this facilitator has the values conversation, transforms the value into a goal, and then talks about care preferences, what you're willing and not willing to do to get to that goal. Alex: Then the next step is where you double the Metformin and add the Glyburide? Aanand: So almost, you're getting there. So, right now where we're at is, there's a note that can have values, goals, preferences, and it can go into the EMR, and then you give it to the clinician, and the clinician has to be a little bit trained about what the hell is all this and how does this actually impact my diabetes and hypertension, all that. So where I'm sort of at, iteratively I'm trying to work on this myself in clinic. So if I get a list like that or if I elicit it myself during clinic, how can I transform, here’s the magic, how can I transform the assessment and plan? So its not this system disease-focused approach, but one that actually says my goal is to spend two hours, twice a week, with my grandkids, being able to do those activities. So then what are the conditions that are limiting my ability to that? What are the things I'm willing and not willing to do to get there? And then what's the doubling my Metformin or increasing my Lasix to help me do that. Eric: So it's interesting, so usually when I think about, in my work, I elicit values, things that they worry about and kind of go back to align with those things to come up with a bigger picture kind of goal or view of where we're going with this person's care, like what's important to them, this feels a little bit in the opposite direction where the goal isn't the bigger picture, but the goals are very specific, attainable, the SMART goals are almost like in my head the objective. So we have the goals and you have the objectives. These are very like SMART objectives. Is that how you think about it? Aanand: Yes. So the funnel is, at the top is values, broad, vague, not so specific, and then you come down to a specific outcome goal and then how do I get better at attaining that outcome goal? I might need to titrate the Lasix or I might need to add some other medication or services, you know I might need to bring in a home PT to help them to do that. So those are the things that help you to attain that goal. Aanand: Yeah, services, supports, care all those things. Yeah. Eric: Do you think we can do a quick role play on like how you would actually, because I'm trying to figure out how you would actually do this in, this is like for primary care clinic, right? Alex: Wait, before we do that, who's doing the values assessment? Is it the primary care physician? Aanand: So I think that's an empiric question. So right now we've found, in the papers that were in JAGS, we talked about training a facilitator. So I've had facilitators who are nurses, social workers, psychology interns, so I'm sort of again agnostic about who can do the facilitation, but they do the facilitation and its a dedicated visit and produces a note that goes in the EMR, and then the clinician gets that note and then tries to align care to achieve those goals within the context of their preferences. Alex: But the first steps, the conversation about values, and bringing it down to specific, achievable goals, is conducted by this facilitator, who is not a primary care physician or primary care clinician. Aanand: It could be. So I'm trying to do this myself in clinic, where I elicit, you just need time. That takes more time. Eric: How much time does this conversation take? Aanand: So the facilitation, once you have someone who's trained and has been doing it well for a while, can be done in 20 minutes. Eric: 20 minutes. All right, so I still wanna know, some basic things. Is now an okay time Alex, for a little role play? Alex: Yes, it's an okay time, but we don't have 20 minutes. Alex: So we're gonna be skip and fast forward. Just an abbreviated version. Eric: I wanna go to the values, like how do you elicit people's values? Aanand: So through this process we have actually developed some manuals that guide it, but this is not supposed to be manualized. So once people get really good at being a facilitator, I don't think they ever look at the facilitation manual, but it starts with again those values families. So, tell me Eric, a little bit about friends or family that are really important to you, or some community activities, or even your spiritual practice. What's really important to you? Eric: Podcasts are very important to me. I enjoy doing them with Alex here, and yeah, family, 10 year old son is important to me, my wife. Aanand: Yeah, so are there certain things in your health that gets in the way? Alex: Good you got the wife in there, by the way. Eric: I'd like to thank the Academy members. Aanand: So is there certain things that keep you from doing a podcast on a regular basis that you'd like to get some help with addressing those limitations? Aanand: Will Medicare pay for that? Eric: No. Okay, stop. Let's fast forward. What's the next question that you would ask me? Is there another, do you talk about worries? Eric: Something we talk about often in palliative care. Aanand: We talk a little bit about worries, but I think it's, so we're kind of the anxiety and worry part is there, but often it's burdens. So what's getting in the way of accomplishing some of these activities, and so its often symptoms then. Right? So its back pain or shortness of breath or just I have to take too many pills, or the pills make me dizzy when I'm walking around or they make me pee at night all the time. So that's where the preferences, so the preferences part can kind of come in at different times. Sometimes its difficult to initiate this values conversation, because they're just so fixated on this particular symptom, that's why they're here to see you. So you sort of start first with the preferences conversation of so tell me a little bit more about this symptom you're having and so then what is it keeping you from doing that you really like or what would you be doing more of if you weren't having that particular symptom. Then that starts to get in the conversation of a value and a goal. Eric: And right, so preferences, when you say preferences, preferences for? Alex: How do you ask that? Aanand: So there are different sort of set prompts that we guide at. So is there any aspects of your care that you find particularly burdensome or a hassle or are there some medications that you haven't been taking, even though they've been recommended, because they're causing some problems that you're describing? So you're giving people room to complain about their recommended care. Alex: Right, so I'm just thinking, boiling it down, if there are like three key questions that you could share with our listeners to launch them on the journey of having these conversations, what would they be? Aanand: So I think, because they come in often with a driving symptom, I think you're never, so pain is often a key one, right, and so you're never going to make the pain go away, and that's often the lot in their head is that oh I'm having this pain, I just want it gone. So I think you ask a question that points it in a couple of ways. One, you wanna get at a goal, and two you wanna get them not so fixated on the pain going away. So, I appreciate you're having a lot of pain on a daily basis, if we could make the pain a little bit less, could you describe something you'd be able to do more of or you'd like to do more of, if we could get your pain a little bit better controlled? Tell me what that would look like. What would it look like on a daily basis? Something that you would like to be able to do. Aanand: So tell me a little bit, what would that look like on a regular basis, or a daily basis or a weekly basis. So it's a matter of an iteratively teasing that out through the interview of kind of what does that, so you when do you normally play with them? How long does that take? Again some symptoms, what gets in the way of being to do that a little bit? Eric: So it sounds like first step we're talking about values and priorities. Aanand: So my preference is to start with values, but sometimes you're struggling with getting to values because they're so fixated on a symptom. So you kind of have to roll with what comes to you in that setting. So if it's something symptom, then you go there and you try to transform that symptom into a goal. But if they're not focused so much on a symptom, we have these sort of set prompts that each of the values to talk about what's really important in your life and again they're usually vague and broad and then we try to narrow that down into okay, so let's talk about a specific activity that you would be doing regularly, that would show that you're living according to the values set? So you really value this relationship with your colleague, that's really creative. What would that look like on a daily or weekly basis? So we can maybe get to the podcast. Eric: Let's not get out of hand, daily with Alex? I'm not sure. Alex: Once a week. Once a week. So I'm just looking at your JAGS paper, so the first step with the facilitator, we're talking about introduction to health priorities, values, that clarification process. Real quick, do you also suggest things? Because you also identified other things in your past papers, like spirituality being a very common source of values for them? Aanand: So I actually think all four or five of the values families are important. So this is a little bit of behavioral economics. So I think that we have, in a given visit, there's availability bias. So you're gonna talk about the one value that's really on your mind at that moment, but we've found that actually all four or five of them are important. So if you have the time and the space, it's really good to try to elicit from each of the groups and try to identify. Eric: Remind me, what are they again? Aanand: Social/spiritual connections, that's number one. Number two is function independence, self-sufficiency. Number three is valued life activities or abilities, so that's more of the hobbies and the vocations. Number four is really the balance between quantity and quality of life, so how much do they value prevention and how much do they focus on a particular symptom or quality of life issues. The last one is the degree in which they wanna be autonomous versus passive in their care, like their degree of engagement they want to get into. Eric: That's fascinating, because probably also if you talk to physicians or sons or daughters of older adults, safety is not one of those five things, but something that all of the other people, maybe not, I always here it's not safe for them to go home or it's not, but that was not brought up in one of those five. Aanand: No, because we elicit these from the patients themselves, right? Alex: Right. Not from their adult children. Eric: Or from their providers. Alex: Right, para-transits, mm-hmm (affirmative). Alex: So that's ... go ahead Eric. Eric: Yeah so I'm just trying to go through the four steps that you outline in the JAGS article, first were identifying values, second that we're work as a facilitator adapting those values into goals. Third step? Aanand: Is then to make sure you talk about the preferences, what they're willing and not willing to do. That's where trade-offs happen sometimes. So sometimes two goals conflict with each other or a goal or a preference conflicts with each other, you gotta get that out in the open, otherwise you're just gonna, this is where all the "nonadherence" comes from. Is people are voting with their feet. They're not gonna do this because of the trade offs. Eric: So I want to have really tight blood sugar control and I don't wanna take any medicines. Aanand: Or I don't wanna get dizzy when I'm walking around, which is what happens when you're on tight blood pressure control, right? Eric: Then how do you navigate that? How do you navigate the balancing? Aanand: So the first thing is I just bring them out to the surface and say well we're gonna have a, you know there's some issues around trying to control your blood pressure, to reduce your stroke risk, because you also said you really don't like all these medicines that cause you to feel dizzy. So you have to have the conversation of this is what it comes out. So that's where getting the goals to be a bit more specific is helpful, because then that's where, so you say you wanna be able to lower the blood pressure down to a really safe range, but then be able to still walk three blocks without getting dizzy. So we actually haven't been able to do that for three months now, because every time you get your blood pressure that controlled, you do get dizzy when you walk. So you have to then talk to them about, okay what is a blood pressure number we get to that makes you less dizzy or what is some medications we can change so that you get less dizzy? So actually that's why I think the specificity and the actionability of the goals is important, because that's where you do titration of treatment. Alex: Is that the fourth step or is that the third? Eric: The fourth step was encouraging patients to communicate their health priorities. Aanand: Yeah, so then this, our paper really focused more on just the facilitation steps, so it doesn't even get into actually as much of the care alignment activities. That's more stuff we're gonna write about, but especially these conversations happening with a facilitator and not with your clinician or your PCP. You're hoping the facilitator has the conversation with the PCP, but I think its really important for the patients to be able to also be their own advocate and be activated on what their goals are and if they don't sort of understand and embrace their goals, it's not really their goal. So I think that's an important part of this, is making sure as part of that conversation they really embrace that this is their goal, not the goal that the doctor or the facilitator came up with. So the fourth step is really for them to own the goal and embrace it and take it with them to their other visits. Alex: So there's a component about this that's really about patient activation. Alex: Patients motivated to sort of clarify and understand what sort of actionable goals they have, what their values are, and then bringing that to their providers. Aanand: I think that's an emergent property of the whole process. I don't know that there's, I'm not even so sure that an activation scale would actually capture it, but I think it's just something that actually happens over time with this process. Alex: So here's a couple questions, one is does prognosis enter into this? Aanand: Yeah, so that's where you've gotta think about what's realistic. So I think prognosis is very important. I think it's, you're gonna be more effective at this, as a facilitator or the PCP, if you know what the prognosis is, if you know what the current functional status is. If you have the patients understand, I think part of this process also helps them to appreciate maybe where they are in terms of their prognosis or what is their illness trajectory over the next five years. So maybe the goals that they've come up with really don't reflect what their illness trajectory is. Eric: So should we, because often what we do in palliative care is first before we go into goals of care, we talk about illness understanding, prognosis understanding, preferences around that, and then talk about values in the context of what's happening with their health. Aanand: So I think that that's one of these distinctions between the context of these conversations and the context of palliative care conversations. I'm gonna argue that it's easier to have that conversation in a palliative care visit than it is in this one, because again you don't have that nidas of this serious illness or this terminal illness that's focused everyone on this conversation. Aanand: And sometimes they know that their life expectancy probably isn't more than three or four or five years, but sometimes they think they're gonna live 20 years even though they're 85 with all these conditions. Alex: Right, you do get quite a variation. We've done some research in this area and you get, most people tend to know that they're in the last quarter of the game when they have multiple chronic conditions and they're over 80 years old, but you do have the few outliers who are hmm, you know, I'm good for another 20, 25 years, when that's probably not the case. Then you have some other people who are actually hoping that their life ends sooner than it probably will, which brings me another question. It strikes me that sometimes what stands between the patient and accomplishing their goal is sort of a lack of motivation and it may go all the way to a formal depression diagnosis, but sort of apathy and demotivation, demoralization. I'm wondering if these sort of more psychological factors have come up in your research? Aanand: Yeah. So we have, in a different set of work, we've done some collaborative goal setting in co-morbid diabetes and depression patients. So they have like PHQ-9 scores that the mean was 15 and their A1C the mean is 9. We've actually been doing telephone interventions that use the same principles, and the thing that actually improved the most was actually their depression scores, because this process does a lot of behavioral activation. It helps them identify specific activity or behavior that they would like to do more of and they're more inclined to do it. Aanand: So maybe another aversion property of this process is internal motivation. Aanand: But clearly behavioral activation. It's motivation on a specific activity or task that they want to do more of. Alex: Right, they want to do more of them. When you're doing activities that are more meaningful, when your life is more filled with meaning, then you may be happier, less depressed. Another question is this strikes me as similar in some ways, in some respects, to the conversation guide that you mentioned it to Gawande and the Being Mortal book. This is something that's come out of the whole Ariadne labs and Susan Block and Michelle Bernacky, can you talk about differences between this approach and the conversation guide approach? Aanand: So first of all, I'm big fans of their work and I think we came from different places, but we've probably come to a place that has a lot of overlap and similarities. So the conversation guide has some similarities to what we've described. I think we're probably a little bit more deliberate and specific on the values driving to specific goals and they've talked more about, I think that they do a good job of bringing this issue of worries and anxiety more upfront. Then focusing on that one activity that you wanna do more of, I think has been a good focus of that work. So, it will be interesting to see how it plays out over time, but I think that the context, I think where we started this conversation on the context of a palliative care conversation is different than the context of these conversations and that produces differences in outcomes sometimes. Aanand: But they're still using it for serious illness patients. Alex: Yeah their criteria for entry is a limited prognosis. Aanand: So we are doing some more work on the next step of this. So once you've got the facilitation piece done and you have these goals and preferences written out, how then do you help the clinicians align care in a more feasible way. So I think I know how to do this esoterically, if I had all the time in the world and I was in a research lab, I would know exactly how to do this, but we're not. We're in the real world where you have limited time and visits. So efficiency and feasibility of it, but there's also a perspective change that's required too, and I think a lot of clinicians fight this, because they were just so trained on disease-based work and breaking these down into systems, and guidelines drive so much of what we do nowadays. So actually none of this is against guidelines, against evidence, against disease process, in fact you have to know, you have to understand physiology to do this well, but how do you do that process of taking a set of priorities that were given to you by a facilitator or that you did yourself, but then aligning the assessment and plan in a typical visit. That's, I think, the next challenge. Alex: Yeah, it's almost like you need to go back and retrain the medical students and the nurse practitioners starting from the beginning, and well let's say how would you change the way you think about managing a patient based on these particular goals going forward, rather than this particular disease, and trying to reduce morbidity and mortality from this particular disease? Aanand: But knowing the disease is there and what its ramifications are, implications are physiologically, and you can't get away from that, they're still important. Alex: Right, you need both. You need both, but the approach starts with the values and the goals, rather than with the disease. Eric: So we are gonna have a link to your JAGS paper on our GeriPal website. I wanna thank you for joining us today. Absolutely fabulous discussion, and coming out here to San Francisco. Alex: Thank you so much, this is great. Aanand: Thank you for inviting me. Eric: You're doing great work. How about we end with a little bit more of the Lumineers? Not the Lumineers, Alex doing the Lumineers. Aanand: That was lovely. With the cursing. Eric: I wanna thank all of our listeners for joining us, please stay tuned for our next GeriPal podcast and if you have a moment, please take a moment to rate us on your favorite podcasting software. Goodbye everyone! Alex: Bye, see you next week.